One of the reasons we all love to live in Denver is the semi-arid climate and 300 days of sunshine. While that is great for us humans, trees have a hard time meeting their water requirements in this environment. Most of the trees planted in the Denver Metro Area are native to the eastern United States that receives a lot of moisture naturally. In line with our “Stewards of the Environment” philosophy, deep root watering your trees has a tremendous impact on the overall health of your plants. A hydrated tree is more resistant to insects and diseases. 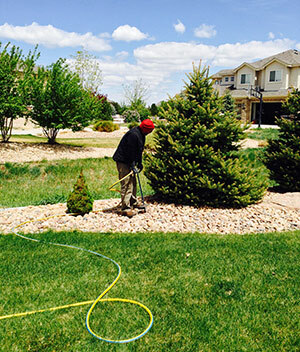 Donovan Arborists believes that if you have your trees deep root watered, the need for pesticides would be reduced on average by 80-90% on your property.